Make your own birthday even more special with an opportunity for you and your friends to have your own hands immortalised in WAX. The National Wax Museum Plus is an exciting interactive visitor attraction located in the heart of Dublin's city centre on Westmoreland Street. The museum opened its new venue in April having previously being housed in the historic Foster Place. The museum is an outstanding original visitor attraction that has been specifically designed to deliver an interactive experience that takes you on a journey through Irish cultural heritage, an enchanting children's zone of discovery, Ireland's only dedicated tribute to our top scientific inventors, a green screen video room, a fully functioning recording studio and all the exceptional life like wax work characters you can expect at the national wax museum. The National Wax Museum Plus offers a museum experience unlike any other, whether you are young or old, a culture vulture or fun seeker, male or female, star struck or star-studded, The National Wax Museum Plus is the ultimate entertainment experience for all. It is not just a museum of wax figures but provides a modern and interactive take on Irish history and popular culture. Children will enjoy loads of the pieces but there are so many little nooks and cranny's to explore - some designed specifically for little people to crawl through - but there will be a few bumps on the head as they try and navigate through the hall of mirrors. There is also an app that can be downloaded to your Android device for a more immersive experience and a treasure hunt for the kids. Children under five are free and there will have fun playing in the Kids World room or enjoying the colour of the Enchanted Garden. Meet Setanta and his wolfhound, watch out for the Viking slaying monk, witness a glimpse of the devastation of famine life, feel the tension of the 1916 Rising and meet the men and women who secured peace in Northern Ireland. Enjoy a history lesson in Irish culture and life, from the Bronze Age right up to the Good Friday Agreement peace talks in Northern Ireland, and stand side by side some of our nation's most famous historical figures. The Chamber of Horrors is for over 16s - strictly! Children (and some adults) will not want to see some of the sets on display including Hannibal Lector, Frankenstein, an electrocution chamber and lots more gruesome exhibits. The Science and Discovery Zone of the attraction pays homage to the dedicated Irish Inventors, engineers and scientists. Many of whom you may or may not have heard of. Interactive touch screen technology helps bring this room to life, with real experiments and figures to examine and touch. The visitor can truly understand and appreciate the work of the many men and women who invented items which we still use to this day. Never before have Irish scientists, inventors and engineers all been celebrated together in such a comprehensive way. The museum is dedicated to the art of sculpting and working with wax to create life-size 3-dimensional figures. Our museum features wax figures of some of the most popular individuals from the world of Film, TV, Music, Politics, History, Sport and the Arts from both yesterday and today. 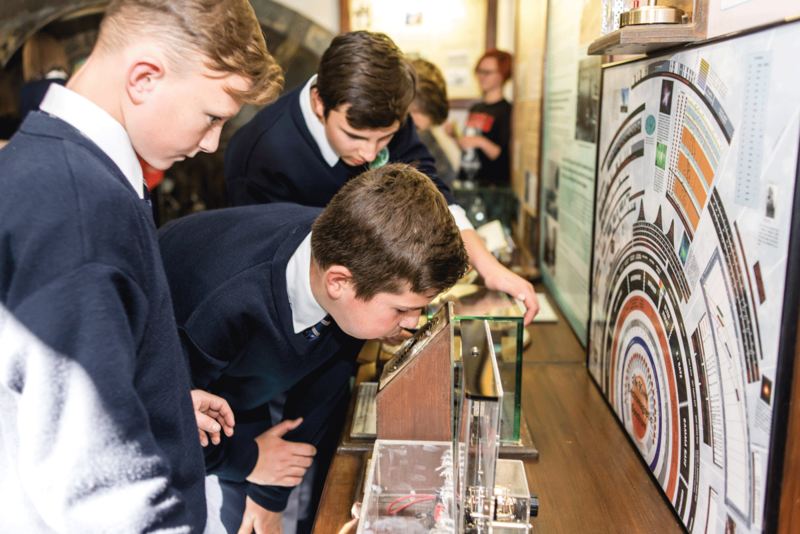 Have your students travel through the Time Vaults of Irish History, discover more about science in our Science and Discovery Zones and get up close and personal with all of our famous faces. We have worksheets and quizzes for various age groups and stages in the education system featuring trivia from all of our educational zones. A new night-time Immersive show at the Was Museum pushing the boundaries between reality and imagination. Create your own imaginative journey, however, you may end up in Heaven or Hell or even partying in Dublin's favourite red light district! Santa will be visiting the museum this weekend with free gifts for all the good children. Get 15% off your admission (including your very own Wax Hands) with tickets purchased on YourDaysOut. Wax Deal extended until Halloween! Buy discount tickets on YourDaysOut - including your own Wax Hands - and use anytime up to 4th November! "We brought our 4 kids and they absolutely Loved it. Spent 2.5hrs there. Great way to spend a afternoon. 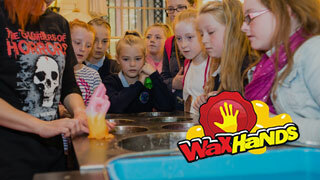 We did the wax hands on the offer on YourDaysOut and it was well worth it. Not only did kids love doing it they are loving showing them to their friends who are well impressed with them. Save up to 15% on admission this summer - with limited offer tickets to the Wax Museum on YourDaysOut - including Wax Hands! Buy Now, Play Later anytime in August. This year, Mother’s Day lands on 11th March and we’re offering a very special deal for visitors. We’ve teamed up with our neighbours J W Sweetman’s to offer a very special deal for families of all sizes. Firstly Two adults and Two children under 12 can gain entrance to The National Wax Museum Plus AND have dinner for all at JW Sweetman’s €55. The meal is fully inclusive for all the family in the ticket. Additionally if a family member is over 12 you can add an additional member to tour the Museum and have their meal for €20. Are you about to binge watch all the Harry Potter movies? It's a winter tradition for most, but instead you could take the Luas Express ?? ?directly to the new #WaxStop on Westmoreland Street and take a picture with Harry, Mad Eye and friends. We even have a brand new sorting hat this year, AND we'll let you go again if you get Slytherin! ??? Don't miss this amazing voucher in this weekend's Sunday World. Valid throughout the holidays! For the month of December, we're going to give back to those who give the most. We're letting all volunteers to Irish charities in for free. Show your charity pass at the counter, or a letter from your charity and we'll let you in for free. Did you know that if you use our augmented reality app Wax Magic in this room TWO waxworks come to life, you can learn bonus information on the app, you can collect extra points AND there's a hidden video somewhere in the room? Also you can get one fine view of Dublin! Calling all Science Fans! We're doing a number of events next week to celebrate #ScienceWeek. They're at no additional charge and we've even got a few Scientists on board! Fun-filled family day out. Kids will love the new venue, and it's great value with discounted tickets from YourDaysOut! Brilliant day out in the new venue. It's more interactive and hands-on and the kids had great fun. A couple of hours can be easily spent here and it's more than enough time for the kids and really good value at the price.